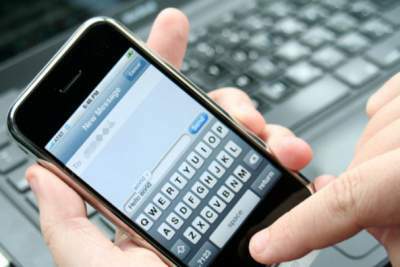 Video Voices of Elk Grove - Are City Council Members Texting During Meetings, Deliberations? At the Wednesday, February 10 meeting of the Elk Grove City Council, a constituent voiced some interesting comments regarding the uses of text messaging. Specifically, during the meeting's public comment section Elk Grove resident Ed Owen discussed the appearance of text messaging by City Council members meeting while they were in session. Although Owen did not accuse the council members of doing this while on the dais, he said there was the appearance and perception such activity occurs (see video of Owen's comments below). What Owen may have been referring to was the January 28 City Council meeting when the newest member of the Elk Grove Planning Commission was appointed. After the Council had reached an impasse on a nomination, there was a lull in discussion while, according to several people in that evening's audience, there were several real estate developer representatives in the chambers who started furiously texting, and not coincidentally, some of the council members started using their respective devices simultaneously. So if Council Members are texting while on the dais or in deliberations, is this an acceptable practice? As Owen pointed out, at a minimum, it is disrespectful to constituents not to be giving them their attention. No matter how trivial a Council Member might find it, their attention he said should be paid to the speaker, not the electronic device in hand. Although Owen did not specifically address it in his comments, several people in the City Council chambers after that appointment process during the January 28 meeting complained that the real estate developer representatives were furiously texting Council Members following the impasse. In their view, it was no accident that shortly after a person acceptable to the entire Council was nominated and appointed. Beyond the respect issue that Own presented, several governing bodies have outlawed the use of text or other types of instant messaging while representatives are in session. As Owen said in his comments, if they have an emergency at home, there are several means by which they can be contacted. Perhaps Mayor Steve Ly can take up this constituent concern and urge passage of a ban of the use of text messaging while they are in session. This would be an opportunity for him to score a victory, and if not, at least take the high road on what will surely be an issue confronting several governing bodies in the future.